Welcome to my personal programming blog. It contains posts based on my experience in the field of coding for Apple platforms. 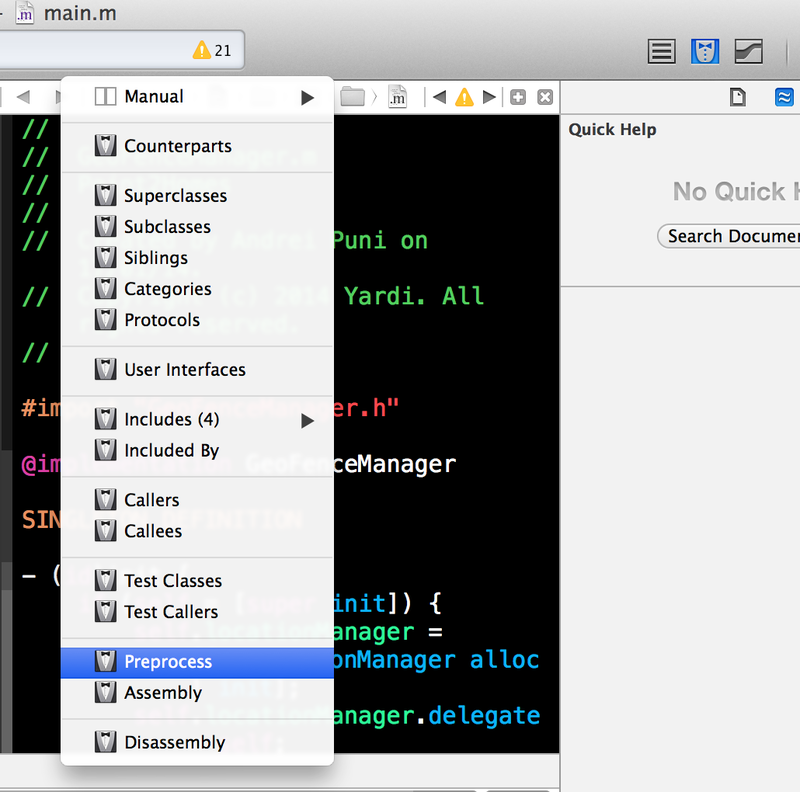 A very cool Xcode feature I can across is the preprocess assistant. It basically shows the version of the file you’re browsing after the preprocessor has expanded all macros. I know it’s a feature from Xcode 4, but since I didn’t see it before, perhaps some of you haven’t either. Now, why is this useful? – didactic: several times I tried explaining to junior developers how the compiler works and how the preprocessor replaces all macros with their actual value, often being represented by some other macros. Best example is #import and #include directives. I think this tool makes it perfectly clear how does this process work and especially shows the output that without this, you can just picture. – track compiler issues: if you have a duplicate symbol compiler problem, your macros aren’t working the way you expected them, using the preprocess assistant takes you closer to the actual issue. 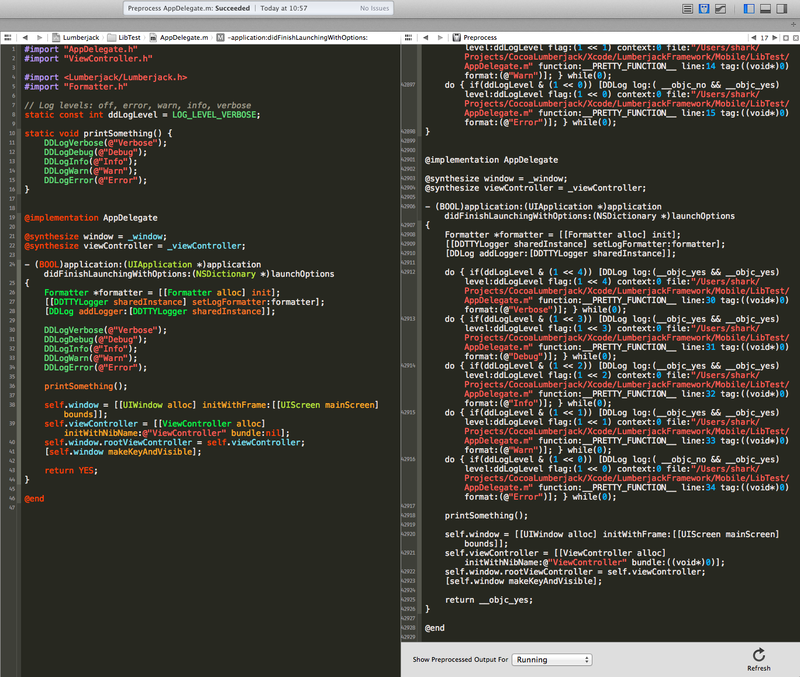 My old days of CodeWarrior development make me think about what great job has Apple done with their dev tools. Your article is really good to read. Amazing!! Thank you for sharing, could I post it on my Twitter to share with my families? Sure thing Terry Lee, feel free to share it.